Recline and relax in comfort with this spacious reclining sectional. Boasting the look and feel of leather without the hefty price tag, this piece features plush pillow arms and contrast stitch detailing for extra appeal. The Warstein Casual 3 Piece Power Reclining Sectional by Signature Design by Ashley at Value City Furniture in the New Jersey, NJ, Staten Island, Hoboken area. Product availability may vary. Contact us for the most current availability on this product. 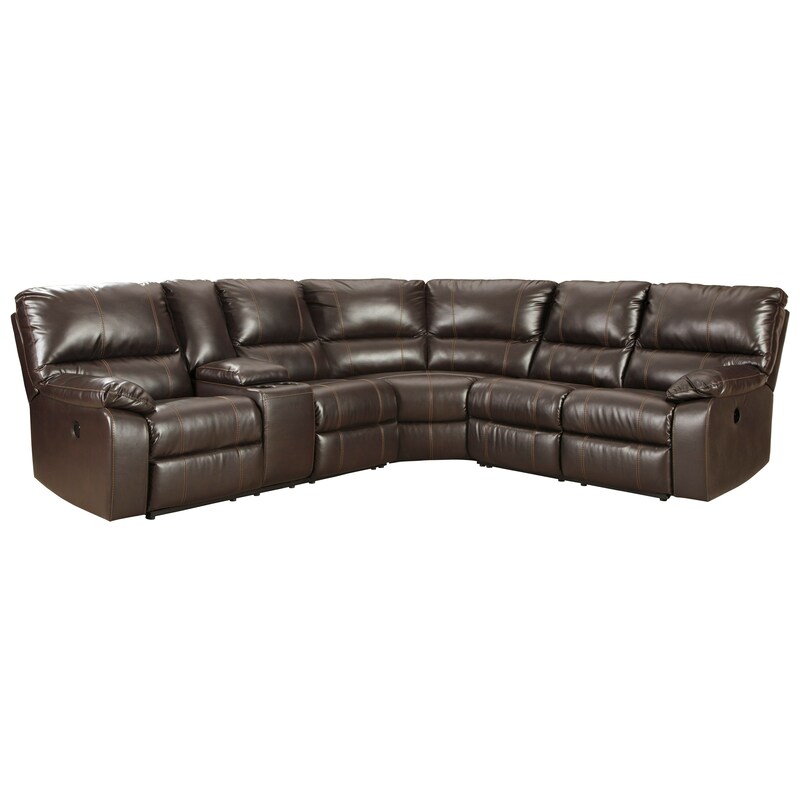 3400177 Wedge 1 69" 38" 41"
3400175 RAF Reclining Power Loveseat 1 54" 38" 41"
3400101 LAF DBL REC PWR CON Loveseat 1 58" 38" 41"
Add style and functionality to your seating space with this sectional sofa, which is equipped with either manual or power reclining features. The Warstein collection is a great option if you are looking for furniture in the New Jersey, NJ, Staten Island, Hoboken area. Browse other items in the Warstein collection from Value City Furniture in the New Jersey, NJ, Staten Island, Hoboken area.